NVIDIA’s GM206 GPU which is going to power the Maxwell based GeForce GTX 960 graphics card has been pictured and revealed by Videocardz. The graphic card which is supposedly arriving in mid of January will fall around the $200 US price range which is the sweet spot for budget gamers. The GeForce GTX 960 will be the third entry in the GeForce 900 series (excluding the mobility chips) featuring lower power consumption and higher performance output compared to Kepler based predecessors. The GeForce GTX 960 comes this month and there are several reasons to believe that, but before we detail those bits, let’s take a look at the Maxwell GM206 core and the possible specifications of the GeForce GTX 960 core. As we know, the GM206 GPU core is based on the same 28nm architecture which is adopted by the GM204 GPU in side the GeForce GTX 980 and GeForce GTX 970 graphics cards. 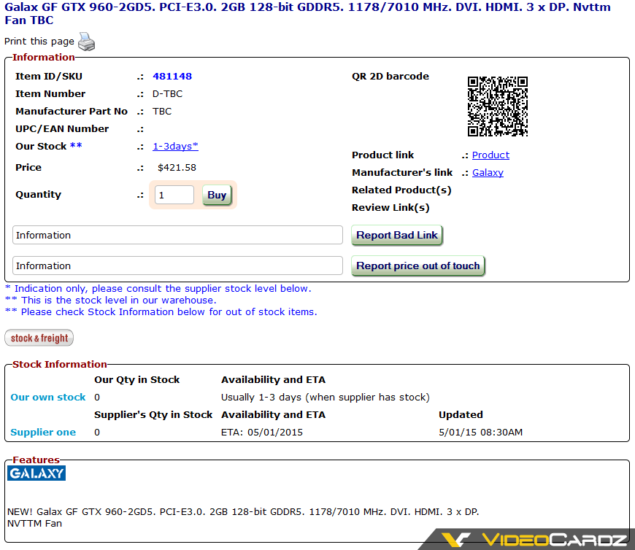 A few days ago, it was rumored that there would be several variants of the GeForce GTX 960 graphics card however currently, only one based on the GM206 GPU will launch. The GM206-300 GPU on the GeForce GTX 960 has a much smaller die size compared to the GM204 core which shows that the graphics processing clusters have been arranged to focus entirely on efficiency by scrapping out needless components. A good guess would be that the clusters could be comprised a total of 8 to 10 SMMs, that would make a CUDA core count of 1024 to 1280 cores and the ROP/TMU count of 36/80 or 40/80 depending on the core configuration since it remains to be seen whether the GM206-300 will be the fully enabled GM206 core variant since there’s a possibility of a GTX 950 GPU to emerge on a cut down variant of the chip in the future. The core clocks were not revealed however retail listings of the card show that it features a memory clock of 7 GHz (7010 MHz) and a clock speed ranging between the 1178 MHz range and beyond for the factory overclocked variants. The card will feature 2 GB memory with 4 GB memory variants heading out to the market soon after wards. The VRAM will be running across a 128-bit memory bus. 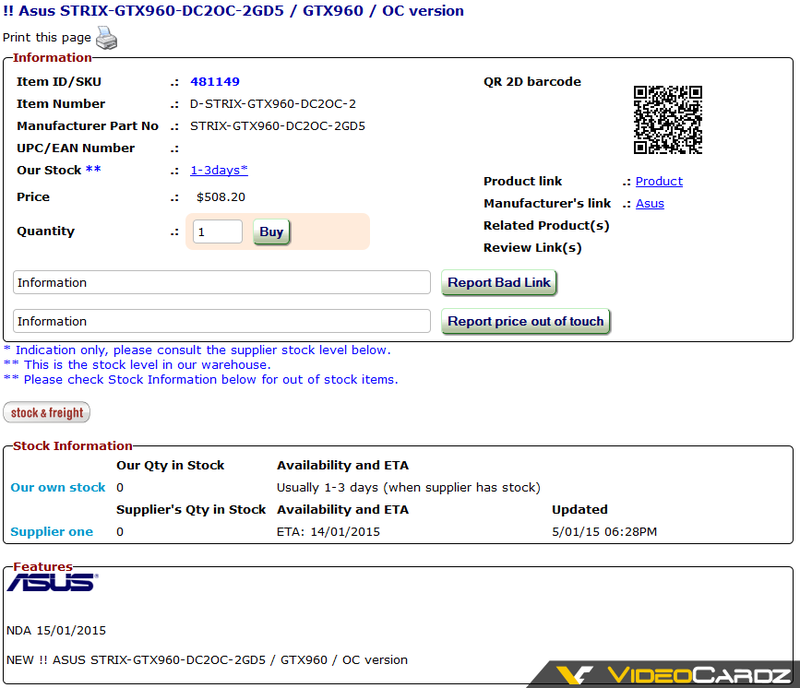 The listings include cards from ASUS such as the GeForce GTX 970 STRIX DirectCU II OC, GALAX GeForce GTX 960 EXOC and another variant from GALAX which features the NVTTM cooler like the one featured on GeForce GTX Titan and the reference GTX 980 offerings. 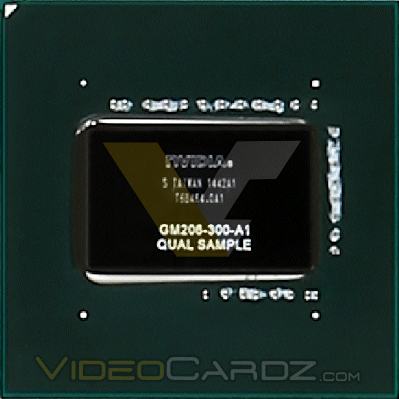 The card will be extremely efficient with a TDP of just 100W and more possibly lower while delivered through a single 6-Pin connector on reference cards. Based on the details from listings, the card will feature the reference Maxwell display output configuration of DVI, HDMI, 3x Displayport and also a availability date during the mid of January 2015. The two dates listed are 14th and 22nd of January but the card is coming out this month. 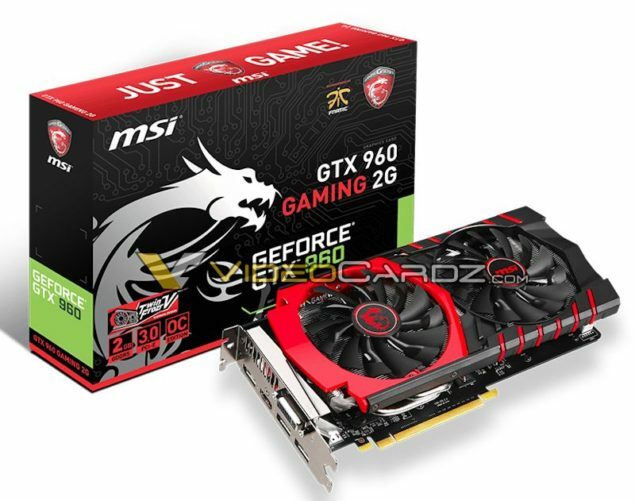 Aside from the GM206 leak, Videocardz has also shown off the upcoming GeForce GTX 960 Gaming and Gaming 100ME cards from MSI. 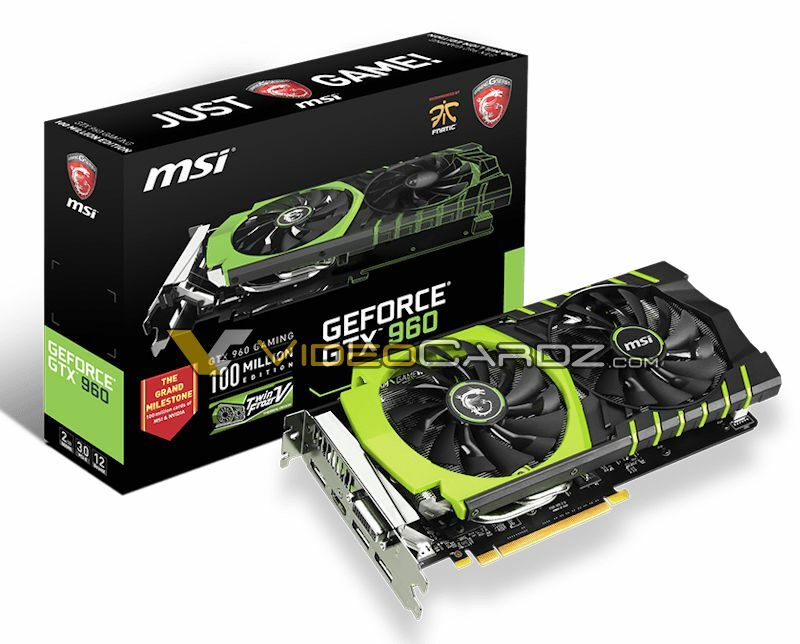 Both are the first official retail pictures of the GeForce GTX 960 cards showing that the card is ready for launch in the next couple of weeks after which it will be available to consumers world wide. The two models include the Gaming edition variants with 2 GB VRAM, 128-bit bus and the display configuration we were talking about in the original report above. Both cards are powered by single 8-Pin connectors and have a 4+1 phase VRM. The 100ME variant comes with a backplate, other details such as core configuration and clock speeds have not been revealed.